Carey Nieuwhof is a leader you need to follow and I count him as a friend. He is kicking off a brand new podcast, The Canadian Church Leader’s Podcast, and I’m honored to have him guest post here today at unSeminary. You’ve probably heard them. And you may even believe them and have said them. I know, because, frankly, at one point I’ve fallen or almost fallen for all of them. I’ve been a Canadian my entire life, and although I spend a lot of time working with US church leaders, my home and native land is where I’ve always done ministry. What works in the US won’t work in Canada. My context is different than yours. 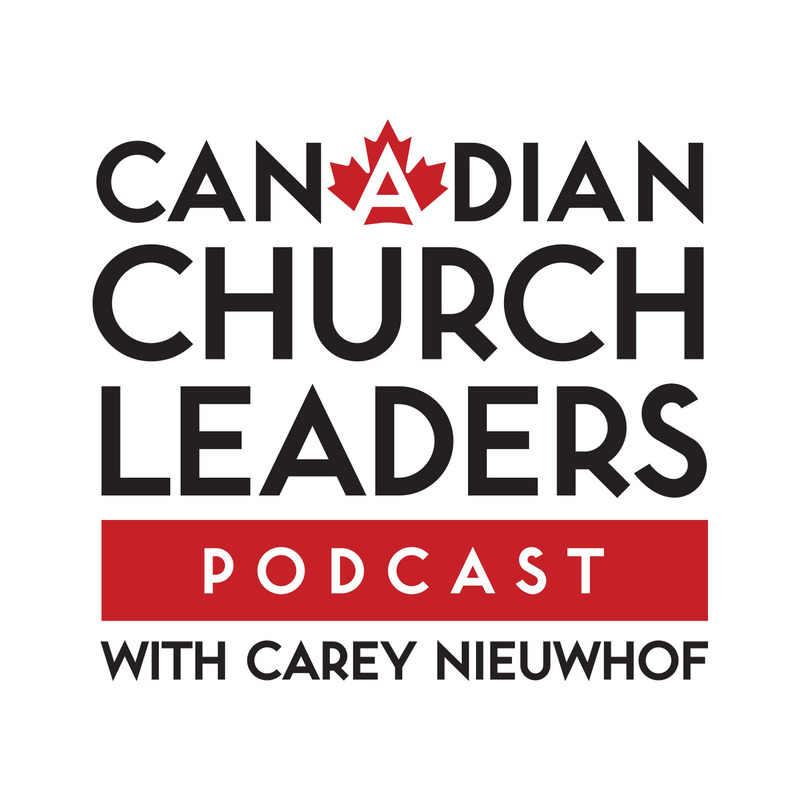 Today, I’m launching Episode 1 of The Canadian Church Leader’s Podcast, a Podcast designed to help Canadian Church leaders reach people. You can subscribe for free on iTunes and Google Play. The podcast is the launch of what I hope will become a rallying point for Canadian church leaders from coast to coast. In my experience anyway, I find many Canadian church leaders don’t connect well with each other. We’re actually better at connecting with US leaders than with each other (I come by this honestly, because Connexus is a North Point strategic partner and an Orange church). Let’s change that! Let’s connect…for real. The podcast will be a monthly deal, with a fresh episode arriving on your device the first Monday of every month. The best way to never miss an episode is to subscribe. Why am I so passionate about busting myths? Because underneath each myth is an excuse. We all make excuses from time to time. But I believe as Canadian church leaders we should banish them from our vocabulary forever. And here’s why I believe that’s so critical: You can make excuses, or you can make progress, but you can’t make both. Most of us want to make progress, but instead we make excuses. A few years ago when he was in high school, my son Sam and I drove to his track meet. He and his team have qualified as provincial finalists in the 4×100 meter high school relay. Sam and I were talking about training and which school have the best facilities. My son’s school has a gravel track. It has no marked lanes. It’s not great for training. They have to estimate hand-offs on the relay and practice their steps with best guesses because their track isn’t marked for any of that. And yet his team has advanced to the provincial finals. Meanwhile, the team with the best track in the county (a multi-million dollar top rate install) has been eliminated. I said I was surprised… Sam was too. He said as a rule the team with the great facility rarely does well, and yet his school always places first or second, even with the inferior training facility. The conversation reminded me of the power of excuses. It would be so easy for Sam and his team mates to try less hard and convince themselves that they’ll never make it to the finals unless they got a track like other schools. But they didn’t. They trained like crazy anyway, and went all the way to the finals. The conversation convicted me again: you and I absolutely have to stop making excuses now. Question: Ever notice that ministry leaders often have a whole list of well-rehearsed excuses as to why their ministry isn’t more effective than it is? The leaders who make the most excuses make the least progress. The leaders who make the most progress make the fewest excuses. So in the name of getting on with our mission, let’s start the dialogue. Finally, if you listen in to Episode 1, you’ll also hear something else super-exciting. Next year, Connexus is launching The Canadian Church Leader’s Conference, hosted at Connexus by Connexus. We’re going to invite leaders from across Canada to join us for three days—June 8th-10th—to help Canadian church leaders reach people (like your friends who live in other cities). Registration opens in early 2017…so in the meantime, save the date. Episode 1 is waiting for you now. I’d love to hear your thoughts! Are these myths or not? About Carey // Carey Nieuwhof is founding pastor of Connexus Church and is author of several books, including his latest best-selling work, Lasting Impact: 7 Powerful Conversations That Will Help Your Church Grow. Carey speaks to church leaders around the world about leadership, change and personal growth. He writes one of today’s most widely read church leadership blogs at www.CareyNieuwhof.com and hosts the top-rated Carey Nieuwhof Leadership Podcast where he interviews some of today’s best leaders, and The Canadian Church Leader’s Podcast, where he helps Canadian church leaders reach people.